The deadlines are fast approaching! Are you prepared to distribute and file your ACA forms? 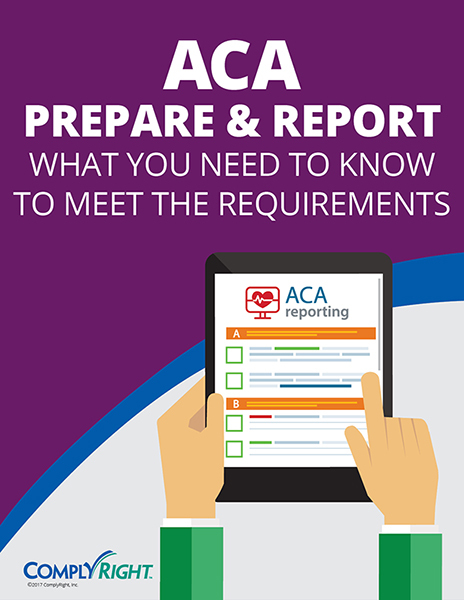 Just as important, do you have a plan for capturing data and managing ACA reporting requirements in the coming years? What if an employee goes out to get coverage in the marketplace when the employer clearly offers the required minimum essential coverage and minimum value coverage under the ACA? Is the employer still subject to penalty? Is the penalty $2,000 per person? If you are offering affordable minimum value coverage to your full-time employees, and there’s someone who manages to get a subsidy, you should not be penalized in that situation. You will be able to respond to any inquiry from the IRS, saying you did in fact offer coverage, and the ACA reporting will show that at least you're representing that for this employee, and you did offer coverage. You shouldn't be exposed to any penalties. There will be times when employees rightfully get a subsidy even though the employer’s coverage might be affordable under one of the safe harbors. It’s rare, but it could happen, and the IRS understands that. There should not be any penalties in this situation. How do we report part-time employees who are under 130 hours a month for all 12 months? Or do we report part-time employees? No, in order to trigger a reporting obligation, the employee has to work full-time for at least one month, based on the look-back method or if they worked the 130 hours in 2015. Assuming he or she didn't enroll in coverage under a self-insured plan, would not receive a 1095C from the employer that year if they worked under 130 hours every month in 2015. They weren't required to be treated as full-time under your measurement period, you didn't measure them in 2014, if it turns out they worked full-time and you're going treat them as full-time for 2015, even if the hours are reduced, they would still have some months of full-time employment in 2015. How are on call employees who are paid the flat amount per shift counted? For example, weekend on call for phones? 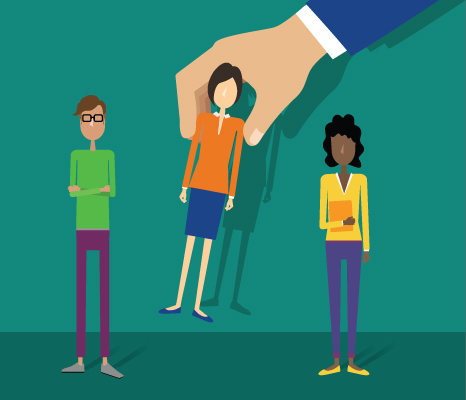 There’s not a lot of helpful guidance out there for employers. If an employee who is not paid hourly shows up to work for an hour, you credit them for 8 hours that day. If you have employees working on the weekends answering the phones, you’re going to have to credit them with 8 hours a day for each day they worked; otherwise, you have to come up with some reasonable method for crediting hours of service that records the time worked. That factual determination should be made with counsel; otherwise you credit 8 hours, if the employee shows up for one hour. What code is used for an employee who is hired during the month who is not eligible for coverage until the following month? Code 1H in line 14 and code 2D in line 16, which is saying, we didn't make an offer of coverage for the full month, because he or she was only hired mid-month, but we don't get penalized because the employee is in a limited non-assessment period, or a waiting period. How do I account for employees who are full-time some months and not full-time other months? This company might be a good candidate to use the look-back method of determining full-time employment, which allows you to average hours over a 12-month period to determine full-time or non full-time status for the upcoming year, so it gives the employer some stability for employees whose hours may vary during the year. What if you’re partially self-insured? Ask your carrier if they’re doing the reporting forms as a fully insured carrier or plan, and if they’re not, then treat it as offering self-insured coverage, and you’ll have to do the forms yourself, as if you’re a self-insured employer. What if you offer insurance to an employee, but he/she is still covered under their parents’ or spouse’s plan, and how does this affect line 16? You could leave it blank because you know the employee is covered under a spouse’s or parents’ plan, or if coverage is affordable, then you would use the regular affordability safe harbor that you would use for other employees who declined your offer of coverage. Under line 16, do we leave it blank if an employee has waived coverage? How do we document the waiver? You may leave it blank if the employee waives coverage, but you want to use a safe harbor code to show the IRS that there’s a reason why you shouldn't be penalized even though the employee waived coverage. If you’re offering coverage that is affordable, then use an affordability safe harbor if possible. In terms of how to document a waiver, you can request employees to sign a declamation form, or rely on your own practices to offer an open enrollment period that’s three weeks long. If they don't respond, treat that as a waiver because there’s no real requirement to collect waiver forms from every employee. We recommend it as the best practice, but it’s not strictly required and some employers are not going to do that. I have some employees we have been paying medical coverage on, but they have never filled out the paperwork and returned it to insurance to actually be covered. What do I put on their forms? It's a factual situation; if they’re enrolled, you can put 2C. I don’t know if they’re really enrolled or not if you’re paying the premiums. Does that mean they’re covered? That’s a question that requires a little more detail. Are owners of a business considered employees if they’re receiving a salary from the business? Generally, no. If they’re greater than 2% owners of an S corp, members of LLC, or partners in a partnership, they’re generally considered owners and not employees. Even the 2% of greater owners of S corp who are receiving a W-2 along with their K-1 should still be considered owners and should not be treated as a full-time employee for ACA purposes. Our health plans run from June 1st to May 31st. Should I be using their relief codes from January to May 2015? If you qualify for non-calendar plan year relief, and you need it, then you should use it. If you were not offering coverage to full-time employees until June 1, 2015, and on June 1st you made an affordable offer of coverage to your full-time employees, you can use code 2I on line 16 whenever you have a full-time employee you didn't offer coverage to. But, it’s not automatic; to qualify, you have to offer coverage to a significant percentage of employees. Can you enter all 12 months even if the employee is not employed for every month? No, you have to be accurate with the reporting, and if you’re saying the employee was only offered coverage for 6 months, you couldn’t put down that he was offered coverage for all 12 months. Of course, if he was working for 6 months but was never offered coverage, then you can use the no offer code for all 12 months because that is still true.